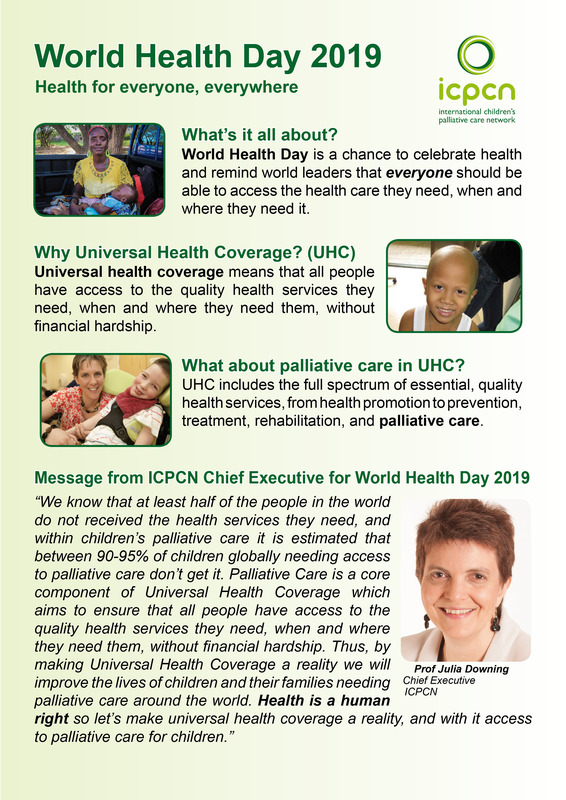 The focus on this World Health Day, 7 April 2019, is Universal Health Coverage, with the theme ‘Universal health coverage: everyone, everywhere’. Universal health coverage is WHO’s number one goal. Key to achieving it is ensuring that everyone can obtain the care they need, when they need it, right in the heart of the community and without financial hardship. Progress is being made in countries in all regions of the world but millions of people still have no access at all to health care. Millions more are forced to choose between healthcare and other daily expenses such as food, clothing and even a home. WHO reports that around 100 million people are pushed into extreme poverty each year because of out-of-pocket spending on health. You can download our Fact Sheet below by clicking on the picture.